Spanish for adults Spanish courses for adults and students of all ages and language levels who want to study Spanish in the summer or throughout the year. Spanish courses for Seniors Spanish language courses specially designed for students over 50 who want to improve their grammar, conversation and at the same time, some social and cultural aspects of the host country. Spanish for Professionals These are specialised Spanish courses where you will learn the fundamentals of your target language, including listening, speaking, reading and writing, and you will use the Spanish language in familiar professional situations. Spanish courses plus activities Your group Spanish language course will take place in the morning, leaving the afternoons free to indulge in your favourite activity, from salsa, cooking and wine tasting to surfing, tennis and more. Spanish Exam Preparation Spanish Exam preparation courses designed to improve your skills for the exam so you will learn techniques for doing the reading comprehension quickly and efficiently. Spanish courses for Juniors Each summer or throughout the year, Language Bookings teams up with our most trusted language schools to provide an excellent collection of Junior Spanish Language Holidays in a safe, fun and international environment. Find the lowest prices to learn Spanish language abroad! 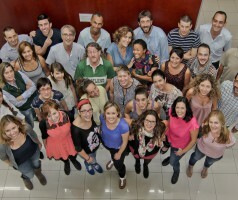 Are you looking to learn Spanish language in Madrid or lessons in Spanish in Barcelona? How about to learn Spanish languages in Spain or language courses for adults in Granada? Whatever type of Spanish course you are looking for, Languagebookings.com will help you find it—and at the lowest possible price! Browse over many Spanish schools in many locations across the globe until you find the Spanish course and school that is right for you. We make it easy to find discount prices at the most popular schools abroad and we provide detailed school information, photos, videos and students reviews for a great variety of Spanish schools abroad. Choose Languagebookings.com for all your courses reservations, and see why more and more students are choosing us for to study Spanish language abroad! A Spanish language course can do more than enriching your vocabulary. It can open the world to you. Globalization is a growing trend that affects almost all the nations in the world. True enough, through a Spanish language course, communicating in other languages gives a lot of economical and social benefits to the nations involved. Also, opening your country for others to visits strengthens our ties with them. The global community is shrinking to a village where every country knows and understands the other. Why not join this trend by learning a Spanish language course that you can use in various destinations? A Spanish language course taken up at the country itself will provide you with the opportunity to roam the country’s most famous tourist spots. Immersing yourself with the Spanish way of life through learning a Spanish language course can also facilitate better retention of your lessons. Not only that, you can practice your Spanish-speaking skills while taking a tour on the countries busiest streets and shopping districts. Develop an “ear” for the Spanish language. While you are taking up a Spanish language course, you have to develop your sense of hearing for this new language. Be reminded that language is learned through oral communication at first. If you can, always speak to a Spanish native and ask him or her to correct you when you mispronounce or misuse a word. You can also enrich your vocabulary through listening to Spanish songs and watching Spanish movies. Make flashcards that you can use wherever you are. Taking up a Spanish language course is not an easy task. That is why you have to learn wherever you are. You can create tiny flashcards where you can write a Spanish word with its English equivalent. Take these flashcards wherever you go and flip through them during the times when you are doing nothing. You can use your flashcards while you are in line, riding the train, or while waiting for your class in Spanish language course to start. Note the Spanish label of the things around you. You can practice what you are learning from your Spanish language course through creating labels for the things around you. Note the Spanish term for the door, wall, bed, dishes, TV, car, and the other things which you constantly use. Studying a Spanish Language Course can enrich your Life. Visiting a foreign country becomes a very unique experience when you know how to speak their language. When you visit Spain and learn their language through a Spanish language course, you will have enough knowledge to commune with the natives and understand their fascinating tales about their homeland. 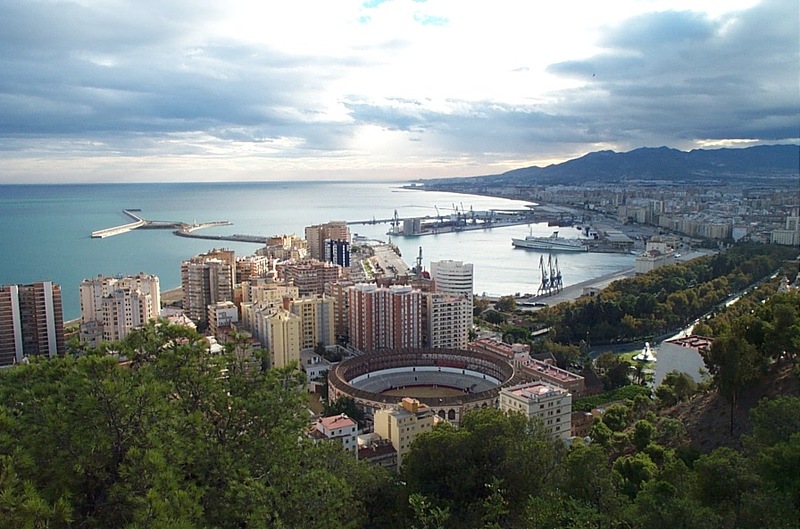 A Spanish language course will open up the doors of Spain for you to give you the best experience of your lifetime.